And out of the Darkwood Mr Toppit comes, and he comes not for you, or for me, but for all of us. When The Hayseed Chronicles, an obscure series of children's books, become world-famous millions of readers debate the significance of that enigmatic last line and the shadowy figure of Mr Toppit who dominates the books. The author, Arthur Hayman, an unsuccessful screenwriter mown down by a concrete truck in Soho, never reaps the benefits of the books' success. The legacy passes to his widow, Martha, and her children - the fragile Rachel, and Luke, reluctantly immortalised as Luke Hayseed, the central character of his father's books. But others want their share, particularly Laurie, the overweight stranger from California, who comforts Arthur as he lies dying, and has a mysterious aganda of her own that changes all their lives. For buried deep in the books lie secrets which threaten to be revealed as the family begins to crumble under the heavy burden of their inheritance. 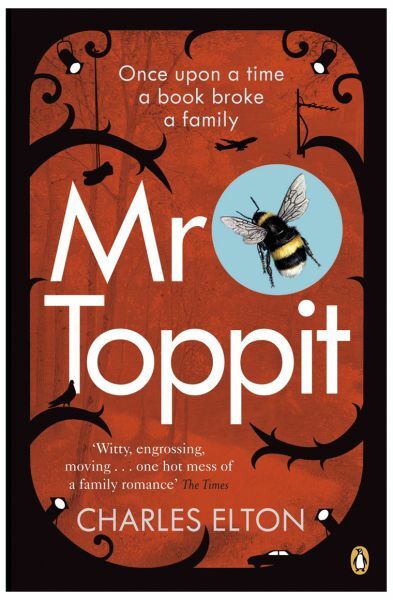 Spanning several decades, from the heyday of the British film industry after the war to the cut-throat world of show business in Los Angeles, Mr Toppit is a riveting tale of the unexpected effects of sudden fame and fortune. Not since Jonathan Coe's What a Carve Up! has a novel managed to capture a family and a society to such wonderfully funny and painful effect.